Spring is finally here and we have a lot of new products to help you refresh your look and keep your hair healthy in between salon visits. Revitalize and repair your hair from this year's harsh winter temperatures with these new must-have products, all available at your local Hair Cuttery salon. Quench your hair’s thirst with It’s a 10 Miracle Silk Leave-In. This leave-in treatment not only cuts down drying time but with its explosive silkiness, it will strengthens hair shaft and give your strands the ultra moisturizing that is much needed after the long winter. 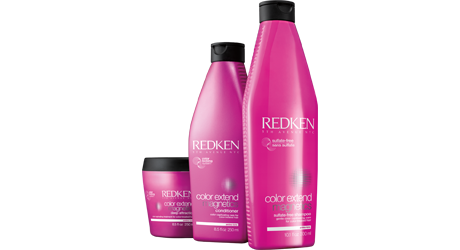 Care for your hair color this spring with our new bestseller Redken Color Extend Magnetics shampoo and conditioner that everyone is raving about. This sulfate-free shampoo will strengthen, condition and help increase your color vibrancy while its conditioner will provide targeted repair, detangling and a smooth compact surface. Bring back your glossy look with our new Cibu Ancient Serum + Keratin. This is your secret weapon to healthy hair all spring and summer long! This intensive argan treatment oil, infused with keratin help strengthen your hair and reduce frizz while adding the ultimate shine for those warmer days. 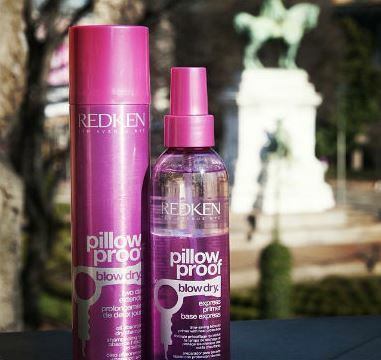 Every great style starts with an amazing blow-dry and Redken's new Pillow Proof Blow Dry collection has just arrived in our salons! First, use Pillow Proof Blow Dry express primer: cuts blow dry time, and its lightweight formula protects from heat up to 450F. Then, to prolong your blow out, use Pillow Proof Blow Dry Extender, a dry shampoo that will give you a matte finish without residue. Extend the life of your hair style while making your hair look great on day two or three! And don't forget to ask your stylist about all other new professional products to help you blossom this spring!